I don't remember the first time I had this cake, but it was years ago. I have an aunt who makes a wonderful version (as well as a fabulous strawberry cake). Here in the south there's always lots of good food whenever family and friends get together. Usually enough to feed an army, but that's just the way it is. We love our food here in Dixie. And I have loved to bake since I was a teenager. 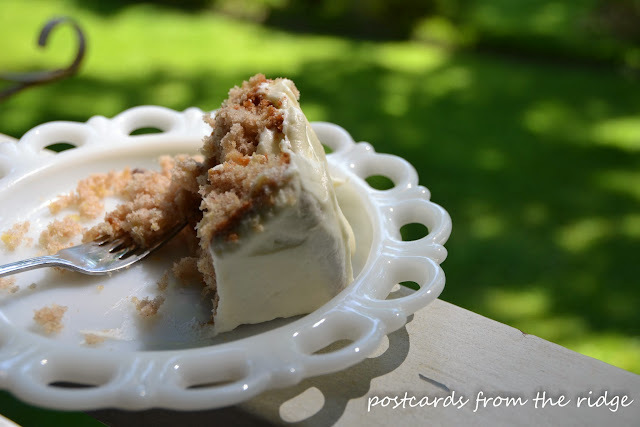 If you like banana bread, pecans, and cream cheese frosting, you'll love this. 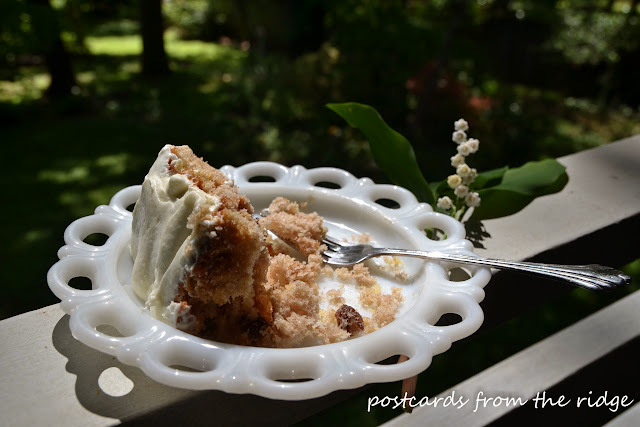 The recipe I'm sharing today is from my all-time favorite cookbook, The Southern Living Cookbook. 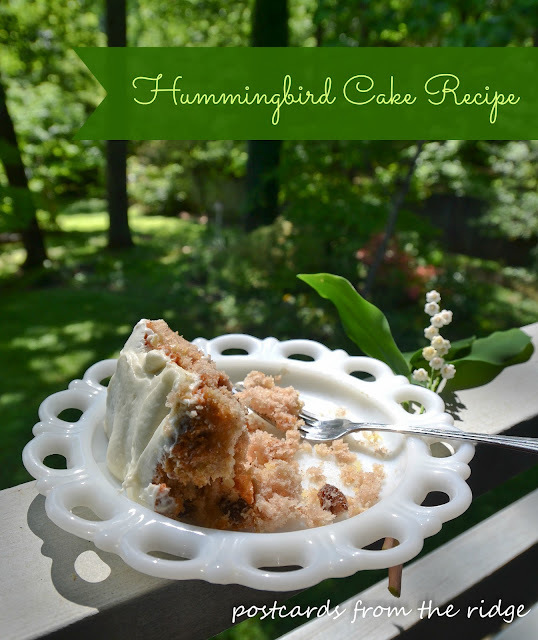 Hummingbird Cake is their all-time most requested recipe, so I'm not the only one who loves it! If I was told I could only have one cookbook, this would be the one I would use. I've had it since I got married almost 22 years ago, and I can't tell you how many dozens of times I've used it. The pages that have my favorite recipes are worn and have a smudge or two on them. But I wouldn't trade it for anything. Combine the first 5 ingredients in a large bowl; add eggs and oil, stirring until dry ingredients are moistened. (Do not beat.) Stir in vanilla, pineapple, 1 cup pecans, and bananas. Spread Cream Cheese Frosting between layers and on the top and sides of cake; sprinkle 1/2 cup chopped pecans on top. Store in refrigerator. The next time you have guests or go to any type of gathering, bring this cake and you will be a super star. But be warned, there won't be any leftovers! YUM sounds and looks amazing!!! Pinning!!! ~ Laurie @ Vin'yet Etc. I love baking, and will absolutely try this. How do I not eat the entire cake myself, though? Going to pin, for sure!